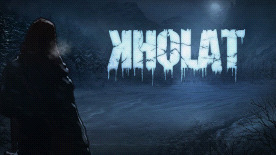 Kholat is an investigative explore 'em up that has players looking for answers. What will you find up at Dyatlov Pass? Or, perhaps more pertinently, what will find you? It's a gorgeous game, as you can see in our Let's Play video of Kholat's first fifteen minutes. One of the first commercially-available titles created using the Unreal 4 engine, there are dizzying, snowy particle effects in amongst the beautifully haunting snowy peaks of the Urals. It's important for exploratory titles such as Kholat to nail the atmosphere and the aesthetics, and this game absolutely delivers on both fronts, helped along by a cracking turn from Sean Bean as one of the narrators. The real-life mysteries of the Dyatlov Pass incident have never been solved, and this game is a great way of interactively exploring such rich source material. © 2015 IMGN.PRO with it’s headquarter in Bielsko Biała, Poland. All rights reserved. Kholat, the Kholat Logo, IMGN.PRO and the IMGN.PRO Logo are among the trademarks of Imagination s.c. All trademarks are property of their rightful owners.